Now and then, you may need to delete a number of contacts on your iPhone. 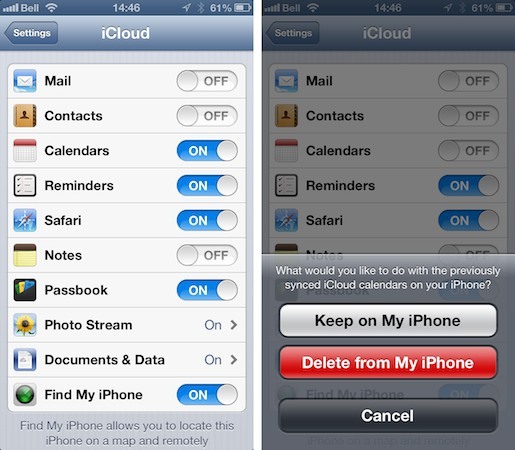 If you would like to turn your iPhone to someone else, you may need to delete all contacts on iPhone at once. Deleting multiple iPhone contacts or removing all iPhone contacts at the same time on the iPhone itself is a laborious task since Apple's software only lets you delete one contact at a time, which can be a tedious process if you have 100 names that are destined for oblivion. 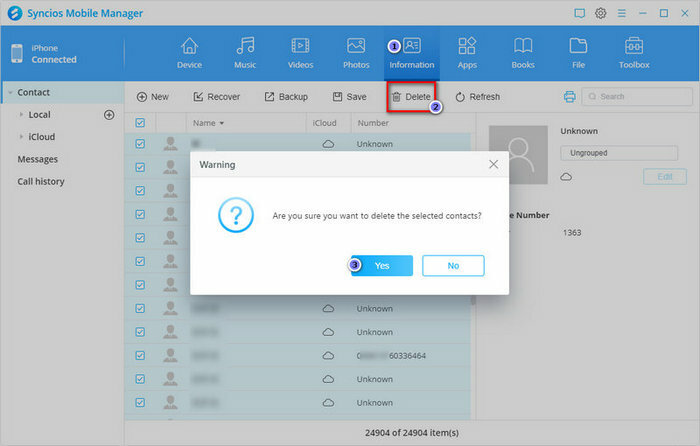 However, there are ways to get around this with relative ease, and this article will show you how to do delete all contacts from iPhone or how to remove multiple contacts you selected at once. Keep reading! The following tutorials will help you solve the problems of deleting contacts on iPhone, iPhone 4, iPhone 4S, iPhone 5, iPhone 5S, iPhone 5C, iPhone 6, iPhone 6 plus, iPhone 6S, iPhone 6S Plus, iPhone SE, iPhone 7, iPhone 7 Plus, iPhone 8, iPhone 8 Plus, iPhone X, iPhone XS, iPhone XS Max, iPhone XR, iPad, iPad Air, iPad Mini, iPad mini 4, iPad Pro and iPod. With Syncios iPhone Transfer, you can simply delete all iPhone Contacts within 3 steps. Step 1: Download and install Syncios iPhone Transfer on your computer. Please note that iTunes must already be installed on your computer for running Syncios correctly. But you do not have to run iTunes. Step 2: Connect your iPhone/iPad/iPod to computer with USB and launch Syncios. Step 3: As soon as an iDevice gets connected, you will be displayed with your device Information, then click Information tab on the left hand side vertical column. Step 4: You can select all contacts by clicking the empty box on the upper-left side and click Delete button to remove all iPhone contacts. Or you can just simply check the multiple contacts and remove selected iPhone contacts by clicking Delete button. Step 1: Tap the Settings icon on your iPhone’s Home screen to launch the Settings app. Step 3: Set the switch next to Contacts to OFF. Step 4: Tap on the Delete from My iPhone. Tips: Syncios Manager now supports also Android Phone and tablet, which helps you transfer, backup, edit your Android data on computer easily. Syncios Mobile Manager is an easy-to-use and powerful iOS&Android Mobile manager, which is well-designed for users who want to manage device contents on PC. It allows you to export contacts, apps, photos, music, ringtone, videos, SMS messages, eBooks and more. Support to transfer, edit, backup, manage, view mobile data. Download videos from 100+ video sharing sites. Handy tools: Audio converter, video converter, ringtone maker, etc. How to make iPhone ringtones with free iPhone Ringtone Maker? How to transfer voice memos from iPhone/iPod to computer? How to transfer data from PC to iPhone 6S/Plus? How to Sync Contacts from old iPhone to iPhone 6S/6S Plus? How to share music between two iPods? How to transfer music from iPhone to computer/iTunes?